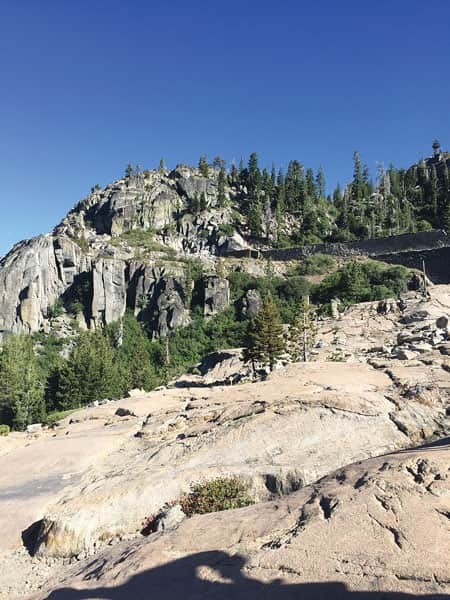 If you drive up Old Highway 40 about 2.5 miles from the west end of Donner Lake, there is a pull-off on the left side of the road by China Wall. 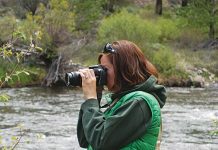 Here you can explore Truckee’s vibrant history. Walk up the road about 50 feet where historical signs offer you insight into the petroglyphs etched in the granite. On the granite slabs you will find numerous ancient drawings. The granite is easy to manage. There are more than 200 petroglyphs etched into the rock: geometric shapes, circles, wavy lines and zigzags. There are some stick figures and animal glyphs, as well. Some are more prominent while others are faded and harder to see. It was interesting to try to decipher what stories the Native Americans were capturing. 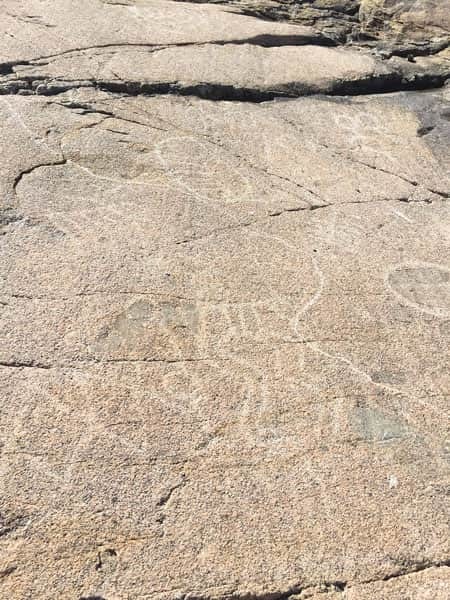 Archeologists estimate that the petroglyphs were created 1,500 to 4,000 years ago by ancestors of the Washoe Indians who pecked through the surface of the glaciated bedrock using a tool called a hammerstone. What the symbols mean are not known but many people think they have spiritual or ceremonial significance. 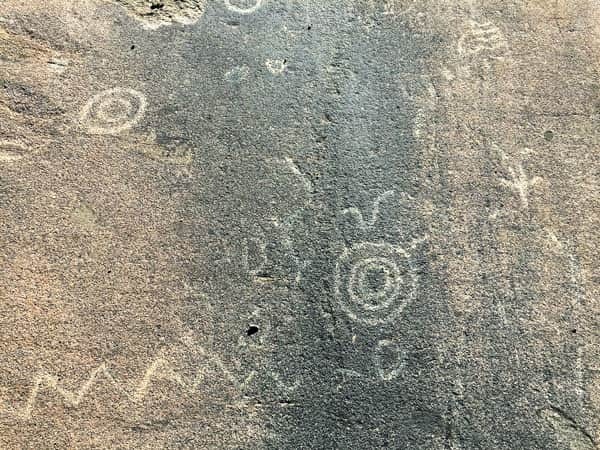 The harsh environment of the Sierra has taken its toll on the ancient art, leaving the petroglyphs vulnerable to destruction. To preserve these sacred symbols, refrain from walking directly on the petroglyphs because they will deteriorate faster. Hike up toward China Wall. There is a trail that leads up to the wall built by the Chinese to make way for the transcontinental railroad. There are two paths to check out here. If you go under the bridge and follow the trail, it winds through the woods. Donner Peak towers overhead and the beauty and majesty that is the summit surrounds you. Eventually the trail meets up with the Pacific Crest Trail. Here you can hike up to Mount Judah or explore the other summit trails off the PCT. Hike back on the same trail and take time to explore the old snow shed train trestle. 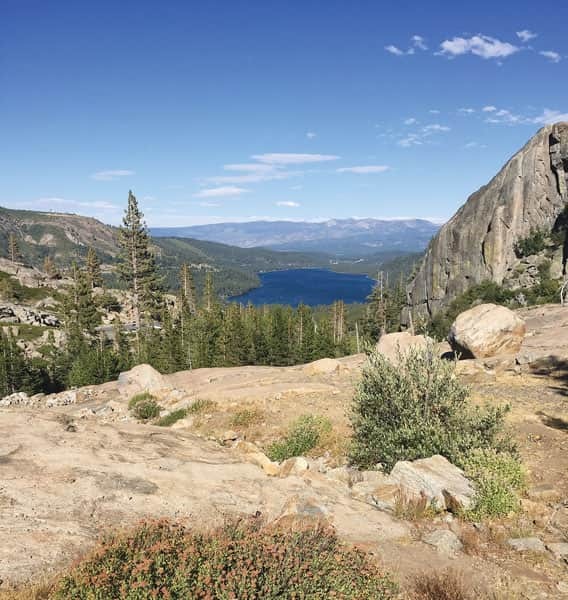 There are beautiful views of Donner Lake from this vantage point. Watching the climbers scale the walls is breathtaking, as well. When you enter the tunnel where the trains once traveled, the temperature drops and darkness descends. 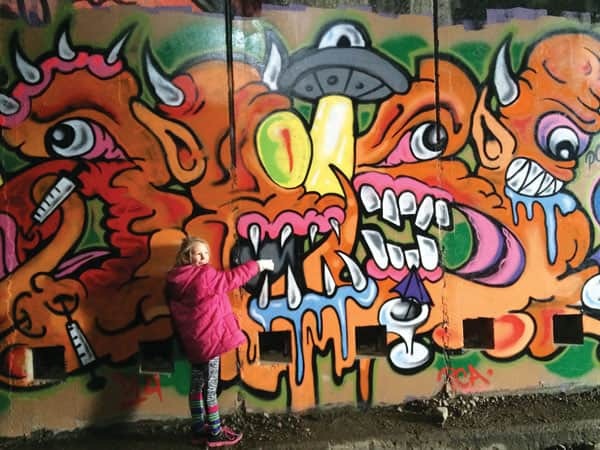 As you walk through the dank, chilly tunnel, take in the modern-day graffiti art. 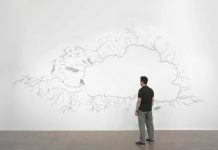 As our ancestors before us, these artists tell a story. I wonder what people will think 1,000 years from now should the graffiti survive. What stories will they glean from the paintings on the trestle walls? Aliens, robots, animals and even Krusty the Clown from “The Simpsons” have been immortalized. On this spot, the ancient ways continue into modern day as eons of shifting geology created magnificent views. 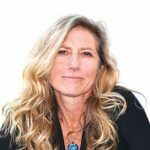 The Donner Party, Chinese railroad workers, Washoe and Paiute tribes and their ancestors — all stories converge in the granite, in these mountains and on this summit.